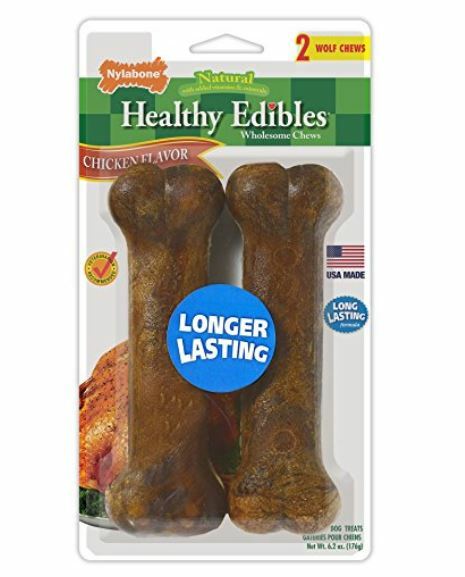 Get this 2 Pack of Nylabone Healthy Edibles Dog Chew Treat Bones for Medium Dogs for $1.74 shipped when you choose to Subscribe and Save (Retail $6.99). These dog treats are made in the USA and have no added sugar, salt or artificial preservatives. If you have 5 or more subscriptions arriving in a month, you’ll save 15% off this order instead of the regular 5%! And when you sign up for Subscribe and Save, you are under no obligation and can cancel at anytime.